SilcoTek’s inert, corrosion resistant coatings prevent stainless steel surface interaction with corrosives; extending component life while preventing product contamination. Our corrosion resistant coatings, Silcolloy®, Dursox™ and Dursan®, conform to high tolerances, allowing coating of components without significant change to dimensions or performance. Coating wetted pathways significantly improve corrosion resistance and prevent common corrosion related problems. 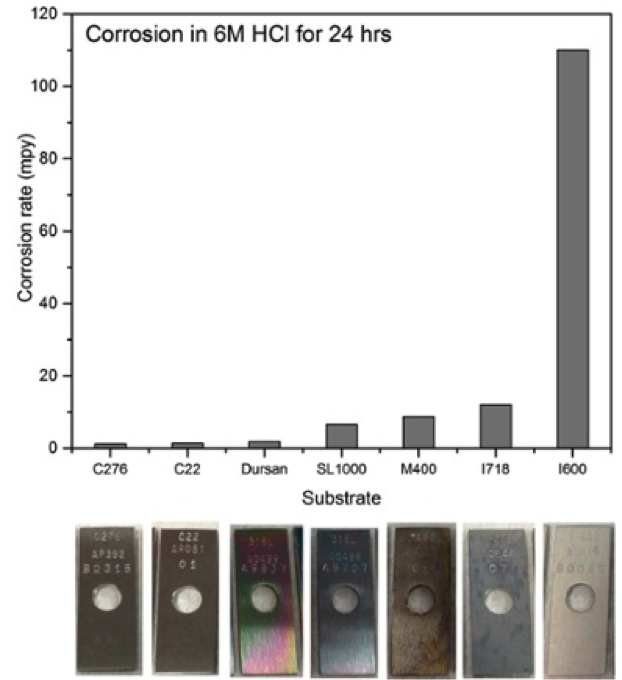 Get our Corrosion Brochure to learn more.